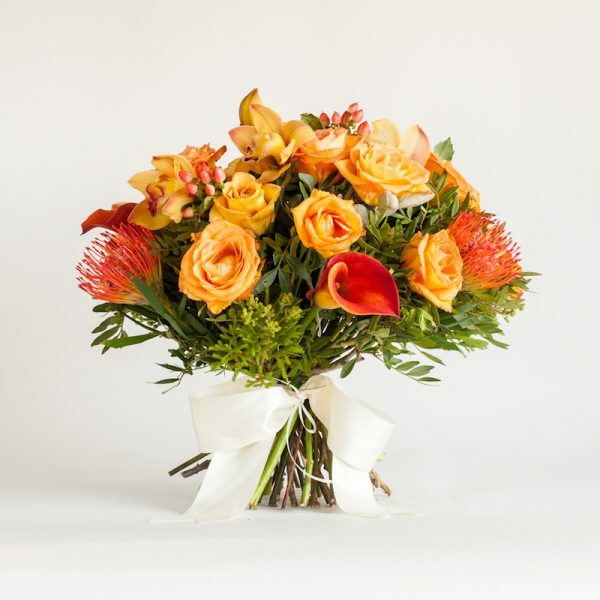 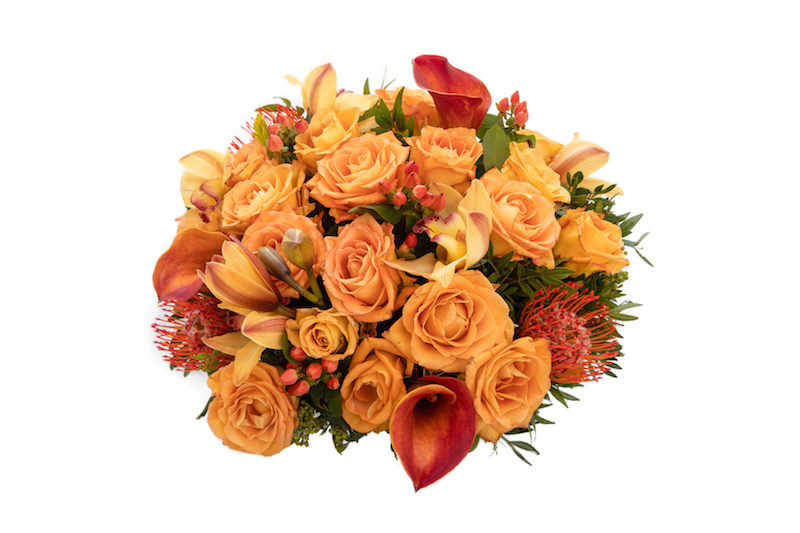 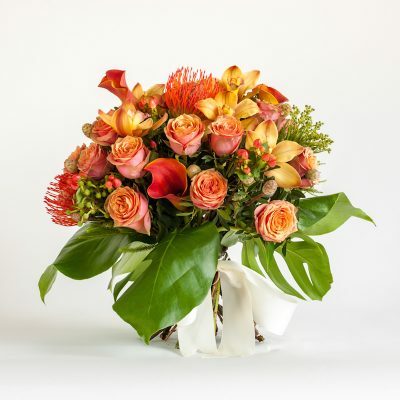 This luxury bouquet is packed with beautiful flowers in the most incredible shades of burnt orange. 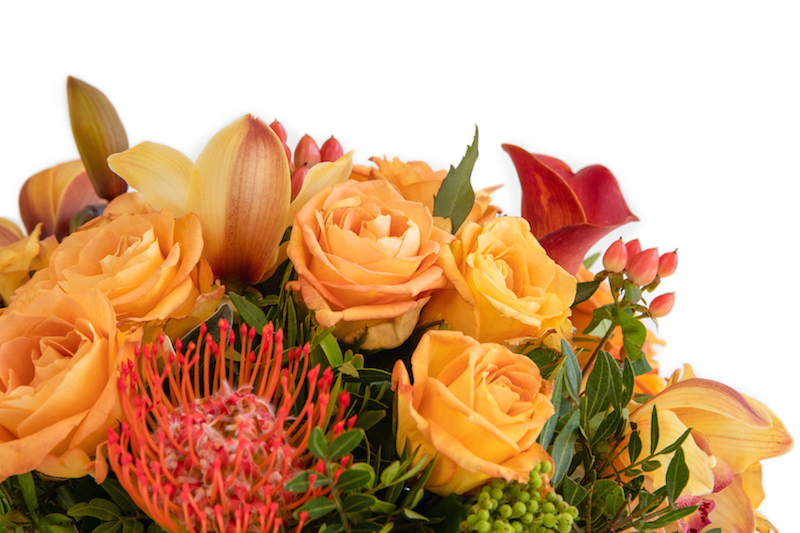 The Sizzle Bouquet is created with roses, leucospermum, hypericum berries, cymbidium head orchids and greenery. 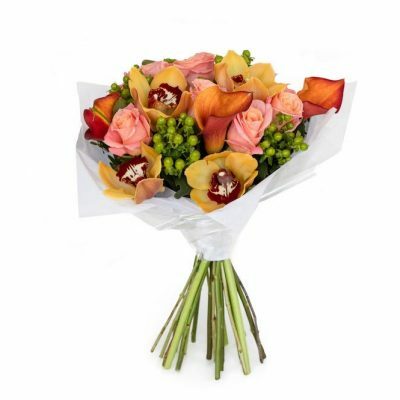 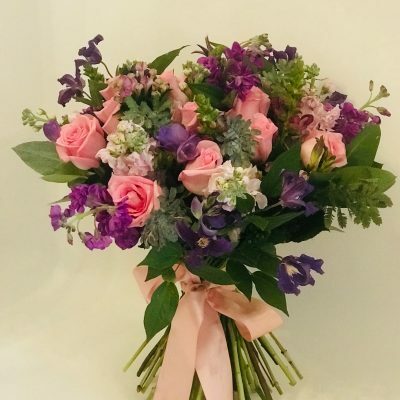 The fun, textured arrangement is suitable for a number of occasions, including birthdays and congratulations.